Is a Timeshare Right For Your Family? Posted on December 15, 2017 December 28, 2017 by Heather W.
If you’ve ever been on vacation before, or dream of doing it one day (we’re covering everybody, right? ), you’ve probably given timeshares a passing glance. Timeshares are an interesting business model. They’re sort of like a resort that you own a small chunk of for specific days every year. Depending on which one you choose, they may be all-inclusive or bare-bones, located right beside awesome attractions or away from the hubbub. The question is, do timeshares offer anything to your family? Here are a few reason why they might. Some people say that timeshares are too expensive, or too restrictive on available dates. But these criticisms are all relative to the needs of the people who buy timeshares. For these people, timeshares are a great value. Here are some of the reasons why. Timeshares Take Care of the Details. Are you tired of cleaning your room in the morning? Get a break with a timeshare that does daily room cleanings. Are you exhausted from finding activities for your children? Go to a timeshare with DVC Resales that has activities onsite and which is close to exciting places like Disney World. Are you tired of cooking everyday? Find a timeshare that includes a cafeteria or other food solution. Do you desperately need some privacy? Timeshares have private master bedrooms. Are you seeing a pattern? A timeshare can be what you need it to be. Timeshares Make You Take a Vacation. Timeshares are an investment you make in advance of actually enjoying the outcome. When you have a timeshare on your calendar, you are more likely to make it a priority to take those days off and get out of town than you would be if you were in charge of every detail of the trip. Some people say that day restrictions are, well, restrictive. But this isn’t true for everybody. Sometimes the endless possibilities of vacations can paralyze parents who just need a break. Having a timeshare can give you a target to focus on so you get the time you need. Timeshares Are Shareable. 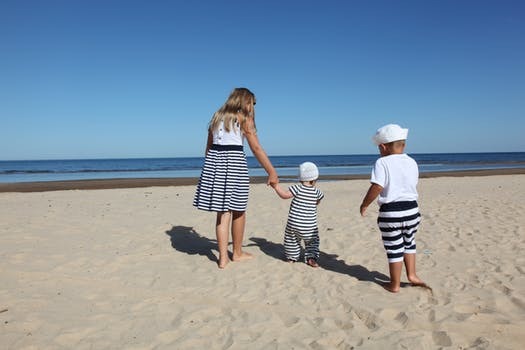 If you have family and friends who could also use some time away, but don’t usually get it, it’s possible to invest in a timeshare as a family. It will likely have to be in the name of a single person, but if everybody pays up, you can all go at different times to enjoy the peace and quiet. If you don’t want to worry about splitting up the costs, why not just gift the timeshare dates to someone you care about if you find that you are unable to hit your dates for whatever reason. There are all kinds of timeshares in the world, for all kinds of travelers. If you need to get some vacation time but are feeling overwhelmed with all the responsibilities of setting up lodging and other details, a timeshare might be for you. There are many other perks to owning a timeshare, so look into the possibility and see if it’s the right choice for you and your family.